A model car enthusiast goes by the name of qingcheqifan (清澈启凡) has recreated tofu shop storefront in miniature scale, complete with the Project.D AE86. This is honestly the coolest thing ever. 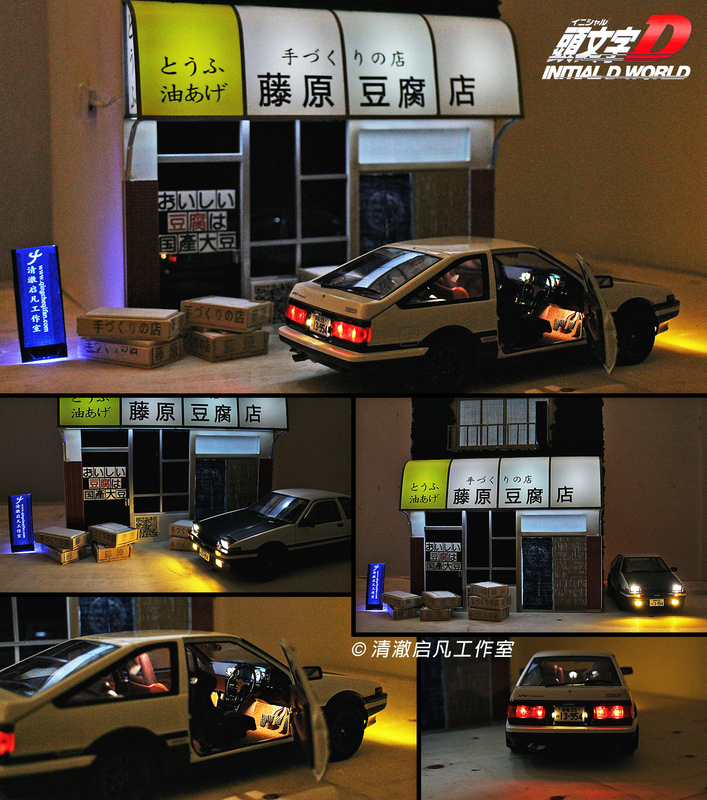 The 1:18 scale AE86 is by AUTOart and is readily available on the official website and Amazon. What made this stand out is the efforts and attention to details he put in it. Rigging the model car with LED is no small feat. Creating the storefront with accurate signage from scratch is probably the most difficult part. Many hours were spent on researching movie stills from the Live Action movie and cross referencing frames from manga. The end result is truly impressive. Qingcheqifan also recorded a video showcasing this. Don't forget to check it out! I really want to pick this up, but my priority currently is the GT86 model cause I own one haha. However the LEDs are for small feet. A little out of the price range for me.